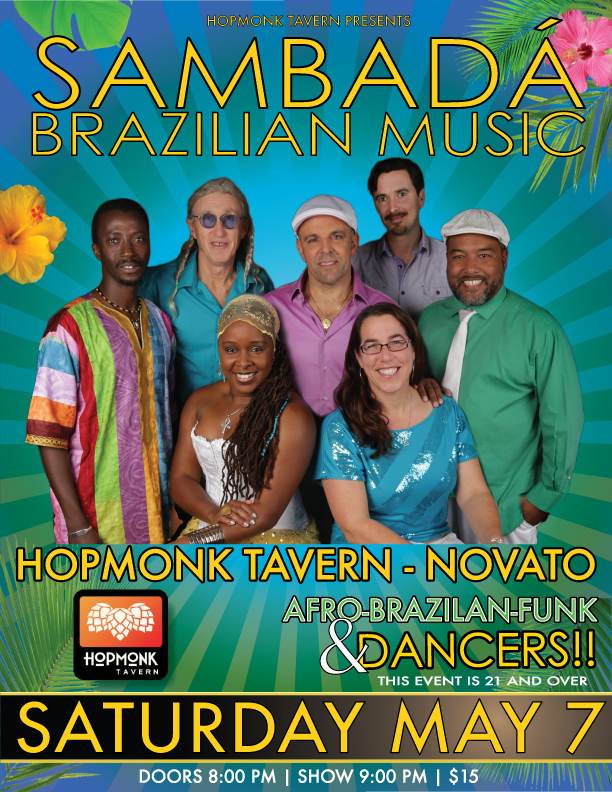 SambaDá will be playing at the Hopmonk Tavern in Novato on Saturday May 7th! Come celebrate with us! Music, Dancing, springtime, good times!